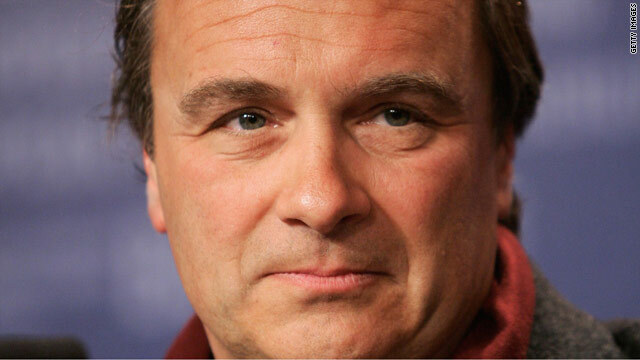 Former CIA operative Robert Baer. Just when you think the Middle Easy couldn't get any weirder, along comes an Iranian plot to assassinate the ambassador of Saudi Arabia to Washington. The plot has was described by FBI Director Robert Muller as plucked right out of a Hollywood script — if so, it would be a truly awful Hollywood script. None of it measures up to Iran's unsurpassed skill in conducting assassinations. As for motives, there are no convincing ones. According to the Department of Justice indictment, an Iranian-American used-car salesman attempted to recruit a Mexican drug cartel to carry out the hit. Other parts of the plan included bombing the Israeli embassy in Washington, as well as the Israeli and Saudi embassies in Argentina. The Iranian was willing to pay the cartel assassins $1.5 million to murder the Saudi ambassador. But the plot came undone when the man representing himself as a cartel operative turned out to be a paid informant of the U.S. Drug Enforcement Agency (DEA). The Iranian, who confessed after his arrest, is now behind bars. The other man in the plot, a member of the Quds Force, a secretive special forces unit of the Islamic Revolutionary Guard Corps, remains at large. Before examining these claims, it's helpful to remember what we know about the Iranian unit implicated in the indictment: The Quds Force was responsible for the truck bombing the Marine barracks in Beirut. It was behind most of the kidnappings in Lebanon in the 1980s, including that of CIA station chief Bill Buckley. It organized the 1992 and1994 bombings of the Israeli embassy and cultural centers in Buenos Aires, as well as Khobar Towers in Saudi Arabia. And most recently, it undoubtedly was behind the execution of five American soldiers in Karbala, Iraq in 2007. In other words, the Quds Force has been happy to target the United States, Israel, and Saudi Arabia. But why so sloppy in this plot when their track record so clearly reflects a deadly professionalism? The possible explanations are disturbing as the plot itself. One would be that the Iranian regime has lost control of the IRGC. In that scenario, the convoluted internal political calculus of Iran's internal power struggles would prompt the faction the plot to have Iranian fingerprints all over this, in order to provoke a confrontation with Washington — in their minds, such a confrontation would be the only way to reunify Iranians behind Khomeini's revolution. There is another explanation. The "paid informant" was a provacateur who set these guys up. This smells phony. First of all, a major Mexican cartel is going to carry out a hit for a measly $1.5 Million? They make that in a day of meth sales. NExt the state department will be talking about yellowcake and roving WMD labs. How wonderful that the US is now going to invade Iran, Bharati's Parthia homeland that still has not been incorporated into the Union of India. That cannot continue As the world's greatest democracy and its only super duper power, India should join the US in this invasion, for this is the only chance that the invasion can ever succeed. On the one hand, the US has plenty of experience of invading other countries, with the skills honed in the invasion of Panama, Greennada, Kosovo, Iraq, and Afghanistan, that India lacks. On the other, India has resources and ways and means to manage large dalit populations. We can send 100 million of our dalit armies, that completely negates all the population in Iran. We can make all the Persian girls to be married to our dalit soldiers, that will instantly solve our problem of too few girls, and at the same time all the next generation of them will be our content India dalits instead of Muslims who constantly stir up trouble. As for the rest of the Iranian men, they will either all be vaporized in their unholy and futile so called resistance, or that they can all migrate to Syria to co-habit with their fellow Muslims. This will completely change the geostrategic situation in Asia, it will make India the strongest nation in the world, and enhancing our world's greatest and largest and duperest super power status. And in fact, that should turn it around immediately to make the USA our vassal state because of our immediate control of Iranian oil and gas and our chokehold on the straits of Hormus. What a strange conclusion to blame the main Iranian democratic opposition in the final paragraph of this article. Very pleasing I am sure for the Ayatollahs to read this. This piece is just to whitewash Iran's terrorism and not good for the reputation of CNN to have it on its website. Everything is possible and every country is a suspect, including the countries in the Gulf¨! Remember, King Abdullah of Saudi Arabia – according to Wikileaks – urged the U.S. to bomb Iran last year! Usually I would defer to Mr. Baer's expertise, but "in 2007, former U.S. Defense Secretary William Perry said in an interview that al Qaeda, rather than Iran, was responsible", according to another CNN article just today. How could Mr. Baer NOT have heard about this? Sorry I forgot to mention the previous quote was about Iran's alleged responsibility for the Khobar Towers bombing, which apparently turned out to be done by Al Qaeda, NOT Tehran. I'm really surprised and appalled at the bankruptcy of the FBI and Intelligence sources, who think such half baked ideas can be sold to the public. There has to be a motive which should benefit, even remorsely, to any of the parties. As the CNN guest with Jonathan Mann put it very well, this is mere childishness. Why would any country, let alone Iran, wud get behind this. Its the best firm of suicide fir any nation. Who on earth is Jubeir? What would Iran gain by killing him? Many questions, but no plausible answers. When the entire affair is behind us the public will get all the answers, my friend. As of now most of it is top secret. A third explanation is that this whole thing was a setup by the US, Israeli and Saudi intelligence services in order to further threaten and ramp up the heat and propaganda against Iran. This is much more likely, given their corporate elites ties within the intelligence circles and their desire to push the Occupy Wall Street movement out of the public's mind. WHY would the US, Israeli and Saudi intelligence services be willing to further threaten and ramp up the heat and propaganda against Iran risking to lose any credibility when it is discovered that this whole thing was a setup? Apparently, you believe that the US, Israeli and Saudi ruling parties are a bunch of suicidal idiots. This is not the case, dear. You misspelled east.......way to go.